Uche is an environmental social scientist working across water, climate, conflict, lake degradation and human security. 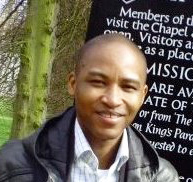 Uche’s PhD project was titled ‘characterising the relationships between climate, context and conflict in the Lake Chad basin’. This project explored the social challenges (including livelihoods and vulnerability issues) linked to the progressive diminution of Lake Chad in the arid and semi-arid Sahel corridor of Africa, and leverages empirical evidence to develop a new climate-conflict model that can both detect key pathways from climate to water conflict and highlight where opportunities exist for government and institutional interventions. Uche holds an MSc in Natural Resources and Sustainable Environmental Management from the University of Greenwich, London and a B. Agric in Agricultural Economics (1st Class) from the University of Nigeria. On the links between lake drying and livelihood dynamics: unravelling the mechanisms, contexts and responses.